Are you hitting the road in your RV this summer? It’s important to keep yourself, your passengers, and other drivers safe while you travel, so in today’s post, we’ll explore four different RV habits you might need to break before you get on the road. If you need RV maintenance or repairs of any kind, then come to MobileTech RV Repair and let us handle everything from the axles to the roof. We take pride in our fast service and affordable rates, and our knowledgeable team can repair virtually any kind of RV! No matter how long or short your trip will be, skipping RV maintenance is always a bad idea. Your vehicle has probably sat dormant for a few months, and you can never be certain that everything will be in proper working order when you’re ready to hit the road. Your oil might need to be changed, or you may need to invest in new axles before your next big trip. RV maintenance also provides your technician with an opportunity to discover problems you may not have noticed before your appointment. While nobody likes unexpected repairs, addressing problems now is much better than being surprised during the middle of your vacation! 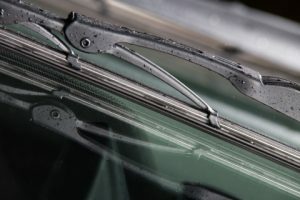 Windshield wipers are one of the most affordable RV components to replace, but many RV owners choose to make do with their old and worn out wipers. No matter where you’re heading, you don’t want to get caught in a downpour without quality wiper blades. Compromised visibility puts both you and other drivers in danger, and we’ve heard countless stories about drivers having to pull over until a storm passed simply because they had shoddy wiper blades. Is your RV squeaking and squealing whenever you come to a stop? If you hear high-pitched noises coming from your RV as you brake, or if you notice that braking is more difficult than it once was, then it’s time to bring your RV in for a brake inspection. We can inspect your brakes and repair and/or replace them if necessary, allowing you to hit the road with confidence and peace of mind. If you’ve had your RV in storage for the last few months, then you should take a moment to inspect the roof for signs of damage. Many RV owners keep their RVs outside where the elements can wear down the roof, and you don’t want to have to deal with unexpected water damage before your next big trip. Even if you don’t see any physical damage on your roof, you may benefit from an RV roof treatment before your trip begins. Just ask one of our friendly technicians about how MobileTech RV Repair can help! If you need RV repairs or maintenance in Houston, then fill out the form below or give us a call to schedule an appointment. With affordable rates, friendly technicians, and the best products on the market, it’s no wonder that so many Houston residents are choosing MobileTech RV Repair!